wasn’t the one who gave birth to the babies – She paid a surrogate and fake pregnancy. Undisclosed sources claim that she lied about being the real mother of the kids and deceived her fans. According to word going round and a post from Kemi Filiani, which was originally published on Encomiun Magazine, the multi-award winning actress, Funke Akindele was never pregnant! 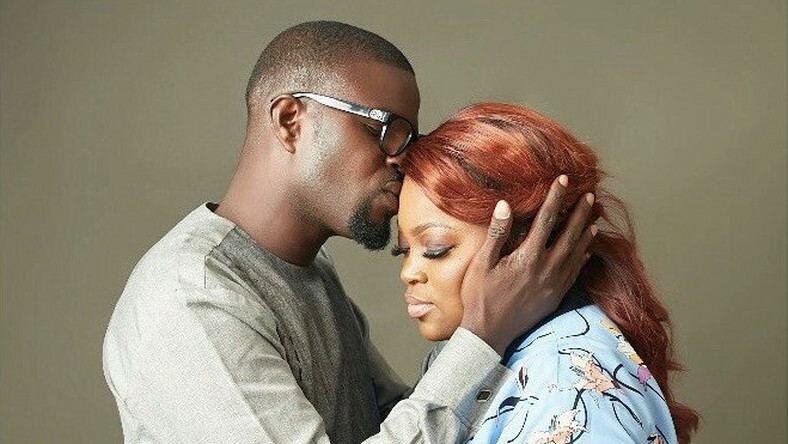 “The crux of speculation bordered on the authenticity of pregnancy, as claimed by Funke Akindele-Bello. Most people, who prided themselves in being close to the star actress insisted that she wasn’t pregnant, while others were vague in their responses to the IVF theory. And two weeks after the babies arrived, Akindele-Bello was sighted in Nigeria, going about her business. By 11 January, her husband, JJC Skillz posted a picture of himself with the twin boys in a pair carriers, at the entrance of their home in Amen Estate, Lagos. Recall that a Lagos based pastor, Olagoroye Faleyimu, two years ago, said that God told him Funke would not bear children. Findings by revealed that it takes at least, three months for any woman who delivers her baby in the US, to leave the country. This is because a series of processes are usually involved, and these take a long haul, especially in facilitating passport for the baby.